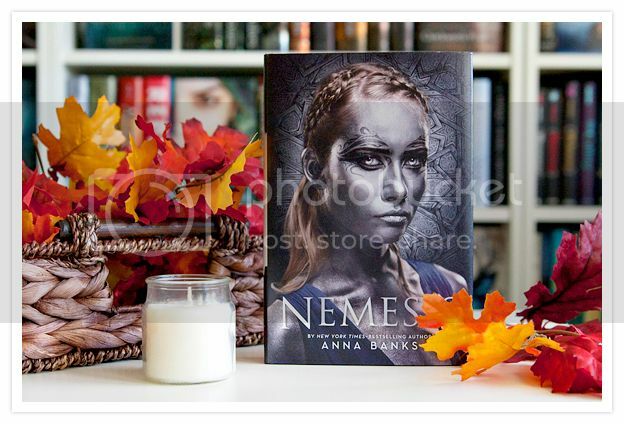 I am a huge fan of Anna Banks, so I was SUPER excited to read her newest release, Nemesis! When I first saw the stunning cover for this book, I knew I'd have to have it in my collection, and once I read the summary, I couldn't wait to get started on the book. It definitely did not disappoint! Nemesis is told in alternating chapters between Princess Sepora and King Tarik. I LOVED this, as I always feel you get so much more information this way, and I love seeing two sides to the story. I found both Sepora and Tarik to be completely fascinating characters, and I enjoyed watching the relationship grow between the two as the story went along. They were both really awesome, well written characters, and there are a lot of really interesting secondary characters in the story as well! The really enjoyed the storyline for the book as well. I don't read fantasy books often enough, and this one was really fascinating. To be honest with you, it took me a little while to get into a groove when I first started reading this book. There were a lot of unique names of people and things in the story, and I was constantly stopping myself try to make sure I was reading and pronouncing the words right. But once I got used to them, it wasn't a problem anymore, and I was able to become completely engrossed in the story. The ending of the book leaves me dying to get my hands on the sequel, and it's going to be a long wait until the next book is released. Sigh. I knew this book was going to be a series, but I just recently found out that it's a duology, and not a trilogy. That's interesting, and I can't wait to add the second book to my collection! 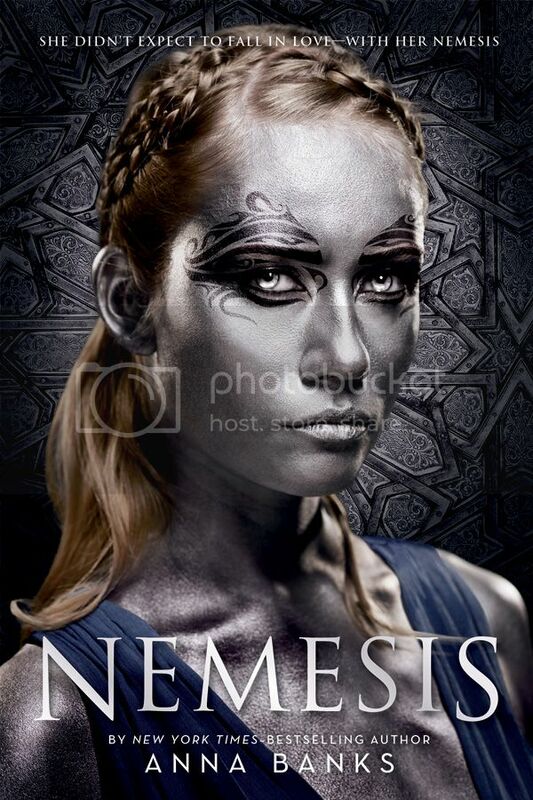 Overall; I really enjoyed reading Nemesis! The great characters and unique storyline came together to form quite a fantastic read. I'll be anxiously awaiting the sequel when it's released in 2017! I am ind of liking all of the duologies, lately. I think I might like the rhythm of the series better in two books rather than three. Can't wait to read this one! Nice! I was super excited to see that Anna wrote another fantasy read! I ordered it immediately, but alas I still need to read it! I think I am going to put myself on a limited book buying situation come new year. Like only buying my auto buy authors and even then limiting it to what series I am caught up in and such! At least that's the plan! LOL! Glad to see this one was enjoyable! Great review!